How is all this data going to help me increase the bang for my marketing buck? (click to enlarge) A friend sent me the above chart and asked me what I thought of it. The author suggests, “Shaded cells reflect that 80,495 customers reside in those cells that received a 2% or more response rate. So about 80.5% of the mailing went to customers who had 2% plus response rate. To the right of the sales grid, you will notice that the sales generated from these customers were $4,062,183 or about 97.3% of the total sales for the event. Hey, that means 97% of the sales were generated from 80.5% of the cost. Why would I mail to the other 19.5% of the mailed file? If we had known in advance which of the cells would have generated less than 2% response rate, we probably would not have mailed them. 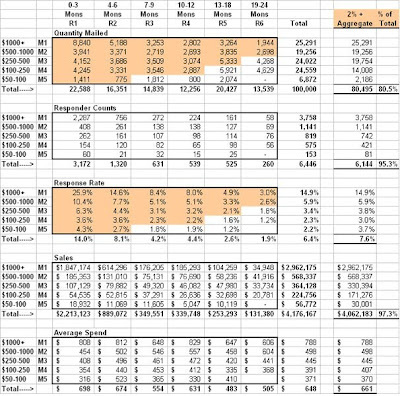 Wouldn't it be nice to know in advance which cells will generate the most sales.” He claims that if he took the top 86% and mailed it twice, he could have increased revenues 72%. The question of Direct Marketing has gone through several revolutions. 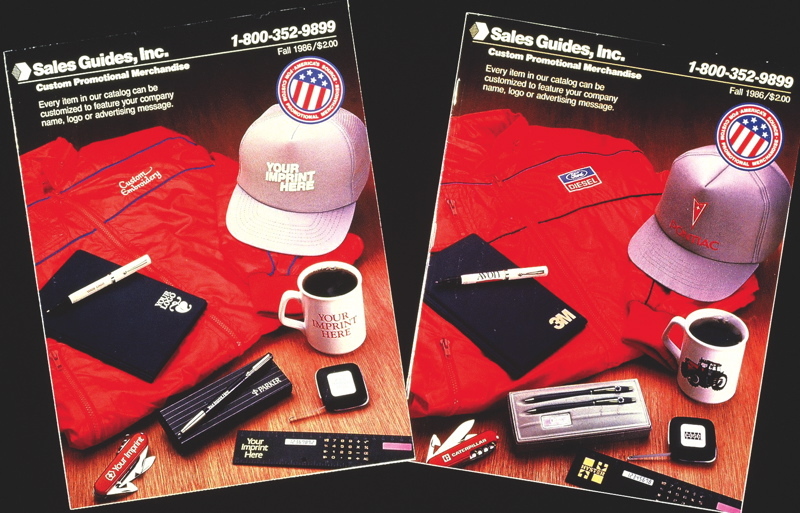 I remember when I was young, the national association was the Direct Mail Marketing Association. Direct mail went back into the 1800's, it was the proven, measurable and testable. More than a few years ago, I was in a ad agency... I was the 'direct mail' guy. They asked me, "What is the difference between what we do and direct marketing?" Great question ... So I wrote this article: Why Direct Marketing is Misunderstood. Excellent, check it out. Here is another version in Target Marketing. In my YouTube Video on Direct Marketing I mentioned a cover test - here it is, can you see the difference? The image on the left pulled 40% better than the cover on the right. It was a 600,000 piece test and not even a letter of copy was different in the two catalogs.